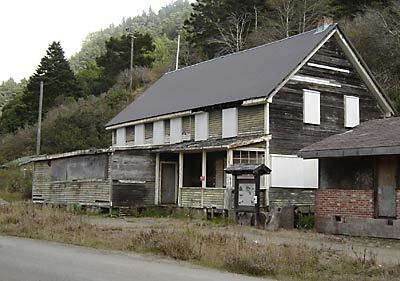 Archaeological report for Captain Fletcher's Inn was completed by Sonoma State University. The report was initiated by NSCR in co-operation with California Department of Parks & Recreation. The report was prepared by Masters student Philip Kaijankovski of Fort Bragg and Professor Michael Newland. An archaeological investigation is required for a Coastal Development Permit in Mendocino County to protect native American cultural sites. There were no significant finds indicating pre-european cultural use at the location of the Inn. The permanent historic display board was installed thanks to generous donations to The Charles Fletcher Society and the Navarro-by-the-Sea Center. Since September of 2005, The Charles Fletcher Society has been officially part of the Navarro-by-the-Sea-Center organization. Donors to either group may take advantage of the tax deduction. To make a donation to the rehabilitation of Capt. Fletcher’s Inn, go to the How to Help page. Help is still needed. The initial phase of the Stabilization and Weatherization project was completed thanks to the California Department of Parks and Recreation (DPR) and restoration specialist Mike Cabaniss. Truckloads of non-historic material were removed from the interior. Falling redwood clapboard was replaced. Windows and doors are covered following the Secretary of Interior’s Standards for Historic Properties. The non-historic bar addition will be removed. Your contributions helped make the initial phase possible. Please help us move to the next phase. See the How to Help page. A successful workday by the California Department of Parks and Recreation, Mendocino District for exterior cleanup to help protect Capt. Fletcher’s Inn from further water and mud damage. The damage was caused by the stream to the east of the Inn and run-off from the hill behind the Inn. Work was done by the Parlin Forks crew under the supervision of Mike Cabaniss of State Parks (under Acting Supt. Ron Munson). The California Budget crisis curtailed plans by California Department of Parks and Recreation, Mendocino District, for the rehabilitation of Capt. 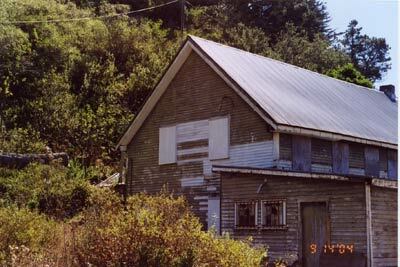 Fletcher’s Inn. Navarro-by-the-Sea Center for Riparian and Estuarine Research (NSCR), with the help of funds raised from the public, hired preservation professionals to help formulate a program for the next phase of rehabilitation: building weatherization and stabilization. NSCR plans to apply for grants to help meet these critical needs. See How to Help. The full Historic Structure Report was completed by Carey and Co. of San Francisco for the California Department of Parks and Recreation. New discoveries concerned an original covered, outside stairway on the east side; no inside stairway in the building of ca. 1865; only a single front door on the west side of the front; interior bathrooms, change in interior stair and addition of the front porch, all dating to ca. 1920-30 (probably after 1922 when the Inn was sold outside of the family). April 2: Initial architectural report completed by Avila and Tom, Architects, of Oakland for Captain Fletcher’s Inn, ca. 1865, Navarro-by-the-Sea. 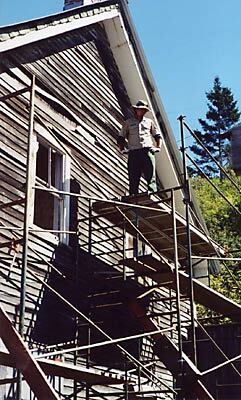 Paid for by the NSCR matching grant from the National Trust for Historic Preservation. 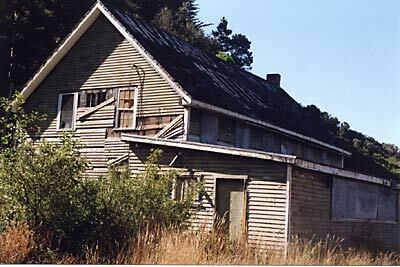 The report paved the way for the larger Historic Structure Report required prior to rehabilitation. October 14. Dedication of the temporary metal roof, historic signboard and preliminary architectural report, co-sponsored by the California Department of Parks and Recreation (Supt. Greg Picard), the Navarro-by-the-Sea Center for Riparian and Estuarine Research (President: Clinton Smith), and The Charles Fletcher Society (Chairperson Hillary Adams). Honored guests: Senator Wesley Chesbro and Superintendent David Colfax. The Parks Dept. created an historic signboard with photographs and information supplied by The Charles Fletcher Society. The photocopy display was to be temporary. State Budget cuts of 2002 curtailed plans for a more permanent signboard. See above, 2004: The Charles Fletcher Society plans to help Parks create a permanent history display. See How to Help. 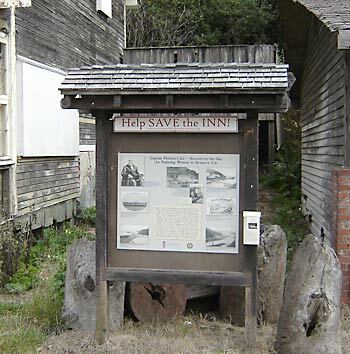 March: A matching grant to the Navarro-by-the-Sea Center for Riparian and Estuarine Research from the California Endowed Fund for Historic Preservation of the National Trust for Historic Preservation. The grant was used for for a preliminary architectural report and planning document for Capt. Fletcher’s Inn. Historical material was supplied by Dr. Hillary Adams and The Charles Fletcher Society. December: A temporary metal roof was placed on the building by the California Dept. of Parks and Recreation, with the aid of a grant from the North Greenwood Community Assn. October 29: Capt. Fletcher’s Inn was designated a project of the Save America’s Treasures Program of the National Trust for Historic Preservation by the North Greenwood Community Assn. (President: Hillary Adams). The nomination opened the way for some grants.